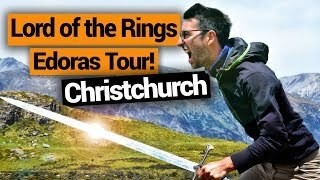 the Wellington filming locations for The Lord of the Rings. In the city often described as “Wellywood”, Wellington is not only the political capital of New Zealand but the movie-making capital. So it comes to no surprise that Wellington was a central hub for the making of The Lord of the Rings. Although The Lord of the Rings and were filmed all over New Zealand, you’ll find many locations right here at these Lord of the Rings in Wellington locations. Just follow this guide to find them all! From the outskirts of The Shire to the final battle fields of Minas Tirith, you can find Lord of the Rings locations spanning across every movie of the trilogy here in Wellington. Some locations you can find by walking from the city centre, taking the bus, hopping on a train, or going with a knowledgeable tour guide. Alternatively, you’ll be able to get to the locations by car. So transport yourself to Middle-earth and head to these Lord of the Rings locations in Wellington! The Lord of the Rings’ director, Peter Jackson, grew up in Pukerua Bay, 30 minutes from Wellington city centre. You can find huge sculptures of Gollum catching fish in Wellington Airport made by the Weta Studios. Weta Studios sculptures can be found all over Wellington, including the spider-like robot on Courtenay Street. The location for the town of Bree was made and filmed in an army base in Seatoun, however access to the public is prohibited. None of the original sets of The Lord of the Rings was left in the filming locations. An easy-to-reach Lord of the Rings filming location in Wellington Central, Mt Victoria was used in The Fellowship of the Ring when the Hobbits hid from the ring wraiths just outside of The Shire. As you hike your way up the forested hill, you’ll instantly recognise the environment like you have been transported to the scene when Frodo shouts: “Get off the road!” Specifically, this is on the first right turn on the walking track with the Lord of the Rings signpost. Further down the track on your left is a steep bank where the Hobbits discovered some mushrooms. On the right are two trees on a overhanging ledge, where they hid from the ring wraiths. (To find the exact three trees featured is hard to find yourself without a local literally pointing them out to you). As for the tree roots that the Hobbits hid behind, these were props added to the set. With some locals’ know-how, you also might be able to find the tree where Frodo sat smoking a pipe. Location: Wellington town belt. Take Alexandra Road and look for a parking area halfway up. A track on the left goes down into the forest. Find walking directions in Wellington – Guide for Backpackers. Where all the magic happened, or at least, where they put the magic in The Lord of the Rings. The Weta Workshop are part of the studios where the props, costume and special effects were made for The Lord of the Rings and The Hobbit trilogies. The Weta Cave is a free mini museum and shop where you can buy and gaze upon the Middle-earth memorabilia made from the makers of The Lord of the Rings! 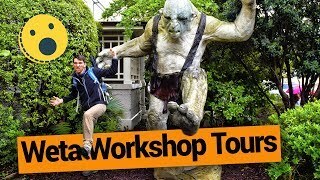 There is also a short video to watch about the work they do in the Weta Workshop. At the cave, you can sign up to do a tour of the Weta Workshop to hear some behind-the-scenes stories from The Lord of the Rings and watch props and costumes being made for new movies! Book your Weta Workshop tour here. Location: The Weta Cave and Workshop is in Miramar. From Wellington Central take bus 2 to Miramar and simply ask the driver to tell you when to get off at the Weta Cave. Don’t worry, this happens often. Otherwise, it is located on the corner of Weka Street and Camperdown Road, for those driving. Whether you’re a Lord of the Rings fan or not (which you are because you are reading this guide), the Putangirua Pinnacles are a must-see! These impressive weathered pillars of rock were used in the scenes for Dimholt Road where Aragorn, Legolas and Gimli search for the Army of the Undead in The Return of the King. Read Wairarapa – Guide for Backpackers for more information on the walking tracks you can take to see the Putangirua Pinnacles. Location: From Martinborough, take State Highway 53 and turn left onto Kahutara Road and follow it all the way to the T-junction at the end. Turn right onto Lake Ferry Road, then left onto Cape Palliser Road and follow the signs from there. The Hutt River was used to show part of the River Anduin, where The Fellowship of the Ring travelled in boats after leaving Lothlorien. The boats were launched from Poet’s Park. The other location for the River Anduin is in Queenstown in the South Island, (see 23 Lord of the Rings Locations You Can’t Miss in New Zealand). You can bike or walk along this section of river between the Moonshine Bridge and Poet’s Park in Upper Hutt. Location: Upper Hutt. 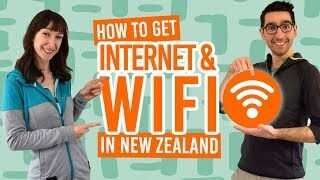 Drive north on State Highway 2 from Lower Hutt, past the Haywards Hill turnoff, and head north until you reach a small bridge with sharp right turn. Poet’s Park is on the left. “They’re taking the Hobbits to Isengard!” Ok, let’s not get ahead of ourselves. Before it all kicked off in Isengard, Gandalf first goes to visit Saruman in Isengard in The Fellowship of the Ring to share his suspicions about the One Ring. They take a stroll in the gardens of Isengard, which was filmed in Harcourt Park, Upper Hutt. Grab a large stick in the park to use as a staff and walk like a wizard. Location: Harcourt Park. Head north of Upper Hutt on State Highway 2 and turn left at Brown Owl into Akatarawa Road. Harcourt Park is on the left. This is one of the few Lord of the Rings locations in New Zealand with information boards to help you find the filming locations yourself. Even then, you need to use a lot of imagination, as many of the plants in the area were taken to a greenhouse during the filming, then replanted afterwards. You’ll notice the huge elven arch, giving you those Rivendell vibes. However, don’t get too excited because the arch was a recent installation, rather than something that was actually used on set. On the plus side, it does indicate the gateway to the filming location where the Fellowship of the Ring leaves Rivendell. Location: Kaitoke Regional Park is a 15-minute drive north of Upper Hutt on State Highway 2. Queen Elizabeth Park on the Kapiti Coast was partly used to depict Pelennor Fields in The Return of the King. This was the final battle scene in the fields surrounding Minas Tirith. Find the other location for the Pelennor Fields in Twizel on the South Island. Location: Head north from Wellington along State Highway 1 to McKays Crossing. At the crossing take a left towards the coast and follow the road a short distance into Queen Elizabeth Park. Not the sexiest of The Lord of the Rings locations, but Dry Creek Quarry is worth checking out for any die-hard Rings fan. Dry Creek Quarry was the set of Helm’s Deep and Minas Tirith in The Two Towers. The quarry was transformed by the sets built for filming to depict the fortifications used in the last battle scene of The Two Towers. Location: Dry Creek Quarry, Haywards Hill Road. Haywards Hill is a 10-minute drive from Upper Hutt or Lower Hutt. Take State Highway 2 north from Lower Hutt, or south from Upper Hutt to the entrance of State Highway 58. You can also take the train to Manor Park station. 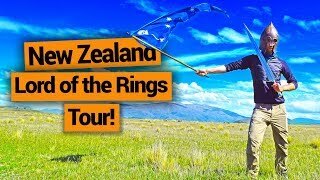 Read these articles to find more Lord of the Rings locations in New Zealand.